After receiving the document, Mr. Lashley noted that he was very pleased to see the work conducted by the Task Force, which was established in 2012. 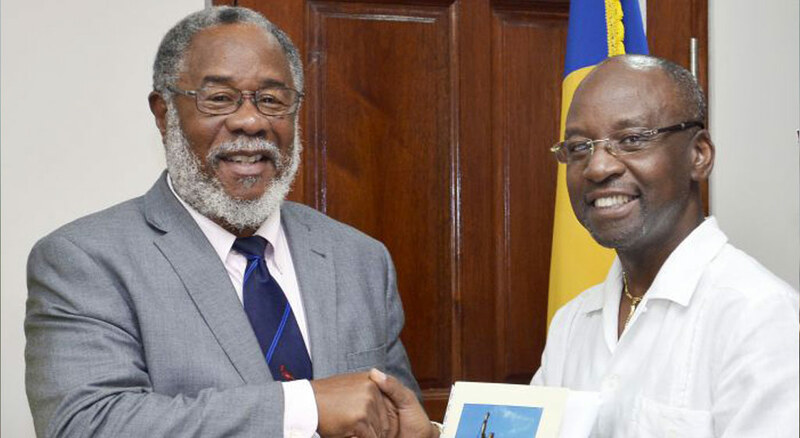 He noted that the Reparations Project was not only conceptualised to secure monetary payment, but also to form part of a “multi-faceted campaign designed to sensitise the Barbadian public on the historical and contemporary issues that inform an understanding of the meaning of reparations”. The Minister further noted that the initiative taken by Government to establish a national Reparations Task Force must be placed within the context of regional developments aimed at the upliftment and betterment of Caribbean nationals. 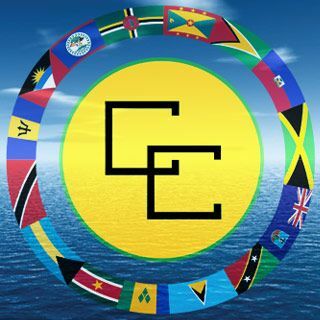 He then cited the diplomatic effort made by the CARICOM countries at the United Nations World Conference Against Racism in 2001, and the joint CARICOM/African Union Conference on Reparations that was held in Barbados in August 2007. Chairperson of the Reparations Task Force, Professor Emeritus Pedro Welch, then reiterated that reparations were not only a monetary issue, but in fact an element of self-repair. “We need to find ways to let people know it is alright to be black; it is alright to be African, it is nothing to be ashamed of… some of our behaviours we can’t explain other than that this is a reaction to what was done to our people…there is a psychological impact which is transferred in the culture of the people,” Professor Welch stated. The Chairperson then noted that there was a serious need for the institutions and countries complicit in perpetuating the enslavement of Africans and their descendants to acknowledge the harm done, as without such an admission, efforts would not get very far. “We can continue with the process of self-repair but on the question of morality it is important for them to acknowledge that it was wrong,” he asserted. The report, which includes a moral argument supporting the need for reparations, also contains comments from various groups within the Barbadian society, such as the Rastafarian community, the church, the Islamic community of Barbados, as well as transcripts from town hall meetings. “There are 27 recommendations included in the document. One of them has to do with the House of Assembly of today revisiting the matter and proclaiming, for the record, its view that slavery and enslavement was a crime against humanity and they should note that the actions of the House of Assembly at that period perpetuated inferiority for our people,” Professor. Welch explained. He noted that the document also included contributions from various members of the task force. “We begin by tracing the development of enslavement, looking at emancipation or abolition and then looking at the post-abolition period [in order to] establish the foundation for making a claim. Once we have done that, we also look at the whole question of the legal aspects of making such a claim,” the chairperson said. Deputy Chairman of the Reparations Task Force, Cecelia Babb, and Head of the Commission for Pan African Affairs, Dr. Deryck Murray, also attended the presentation ceremony.